Planning for your finances involves much more than just balancing your bank account. Your wealth helps you to accomplish your personal goals in life. When people realize that the everyday decisions in their life can have long lasting financial consequences, second guessing and confusion can set in. What would it be like to have a partner who knows what to look for—the potential issues as well as the potential opportunities? What would it be like to have someone identify and help to prioritize the financial issues in your life? What if someone that could work with the other financial professionals already in your life? We believe that you would be empowered to focus on your personal goals—the things that truly matter most. Hedgefield realizes that all our clients are at different stages at life and have different personal goals. What works for one client won’t necessarily work for another. That is why Hedgefield offers a variety of financial planning solutions based on where our clients are at in life. Hedgefield believes that you should only pay for what you want or need. *We can handle these types of plans if need be. *We are not CPAs and do not prepare tax returns nor are we attorney’s. Perhaps there is a major financial decision you need to make. Maybe you are confused or want to better understand all the available options. Or you might just want a sounding board for your decision. Whatever you reason for seeking help, you don’t necessarily need a full blown financial plan. Hedgefield can help you with those major financial planning decisions on an hourly basis. Hourly engagements are $300-per hour, billed in 10 minute increments. You are always provided an estimate before we begin. What would it be like to have your financial life in order? What if you had clearly defined steps on how to reach your personal and financial goals? You would be empowered to pursue those things that matter most in your life. Hedgefield realizes that sometimes clients have more than one question that needs to be answered. We also realize that most of our client’s goals are longer term in nature—constant adjustments to the plan are not always necessary. This is why Hedgefield offers standalone financial plans. Financial plans start at $5,000 with final pricing based on the overall complexity of your situation. What would your life look like if you didn’t have the ongoing burden of managing your wealth? No more second guessing yourself as to whether you made the right decision or not. No more wondering if you should be doing something more. Hedgefield can help you on an ongoing basis with all the financial aspects of your life. We offer service levels based on what you either need or want. Our goal is for clients to be empowered to pursue what matters most in their lives. The Companion service level is Hedgefield’s most basic ongoing level of service. It is the solution for individuals that have a low to moderately complex financial situation. It is for those individuals that desire to have a sounding board for their financial decisions. Depending on the level of complexity and the services provided, the Companion service level typically ranges from $2,000 to $5,000 per year. The Curation service level is our highest ongoing level of service. It is the solution for those individuals that have a moderately to highly complex financial situations. This service package is design for individuals that are interested in creating their financial legacy. It includes up to four strategic/tactile meetings per year. 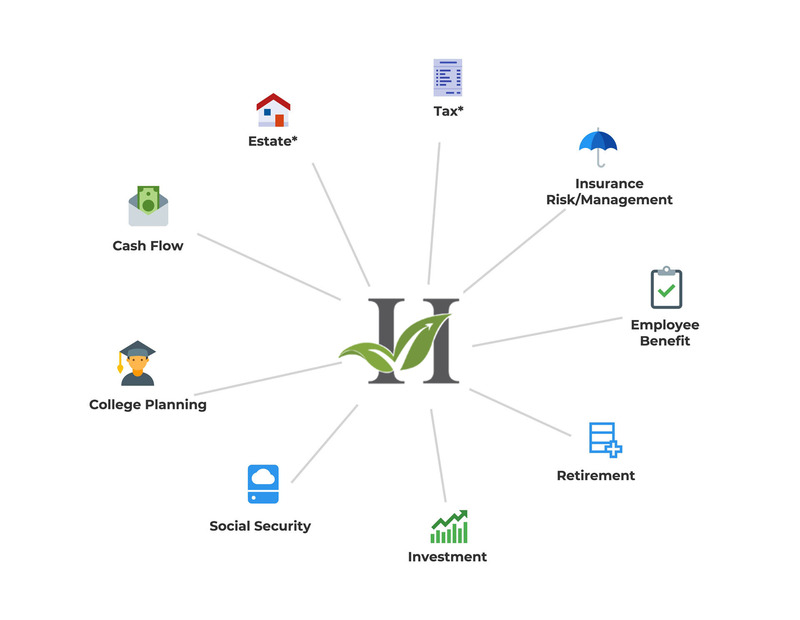 It also includes the ability to setup 529 plans, HSAs and Donor Advised funds without incurring any additional investment management fees. The Curation service level includes a comprehensive financial plan that is updated once every year. If you don’t require an annual update to your plan, you can transfer it to a friend or family member. Friends and family are also able to us Hedgefield as a financial sounding board no cost to them. Depending on the level of complexity and the services provided, the Concierge service level typically ranges from $10,000 to $20,000 per year.